Basic Metasploit command to update framework. This command should update the Metasploit framework to the latest version. The updates says that we should be expecting updates weekly(ish). Beware: Running this command might break your Metasploit installation. This is what you see when booting msfconsole for the first time. Incase you don’t know anything about msfconsole you can type: help to view all commands. It would be a waste of time explaining all these commands. however, these are the basic most used commands you’re going to see. Exploit execution commands: run and exploit to run exploits against a target. 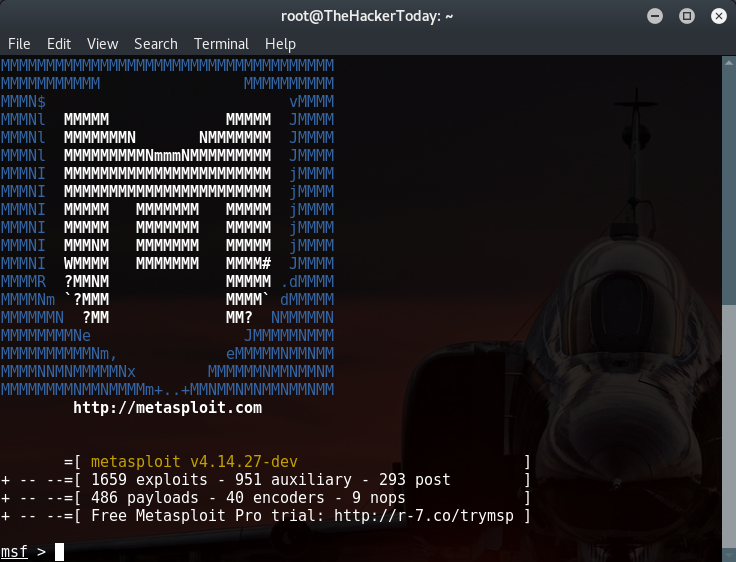 These are the basic Metasploit Commands! search command is used to search exploits and vulnerabilities from msfconsole. info command is used to take a look at the documentation and owner of the exploit. We can use show options command to display values required by te payload to attack our victim machine. LPORT: If your attacking in LAN Network then you don’t need to port forward use any port you want. | If your attacking on WAN Network then you have to port forward that port. By using the show advanced command we can have a look at the advanced options for the exploit. The show encoders command will return the compatible encoders. Encoders are used to evade simple IDS/IPS signatures that are looking for certain bytes of your payload. We will be looking at encoders in detail in a later chapter of the Metasploit tutorials. The show nops command will return a list of NOP generators. A NOP is short for No Operation and is used to change the pattern of a NOP sled in order to bypass simple IDS/IPS signatures of common NOP sleds. The NOP generators start with the CPU architecture in the name. We will be looking at NOPS in a later chapter of this tutorial.